ss Freshspring from across the Severn. 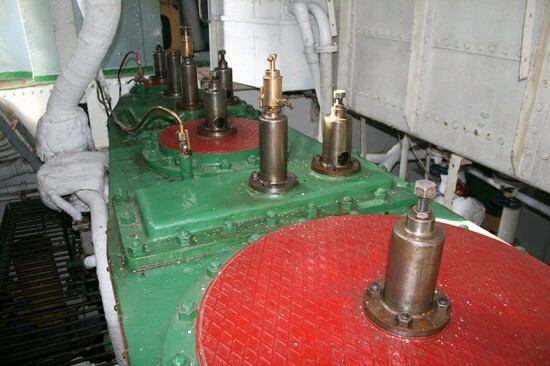 The cylinder top of the main engine. In need of some love and attention. The foredeck with the water tank hatches. 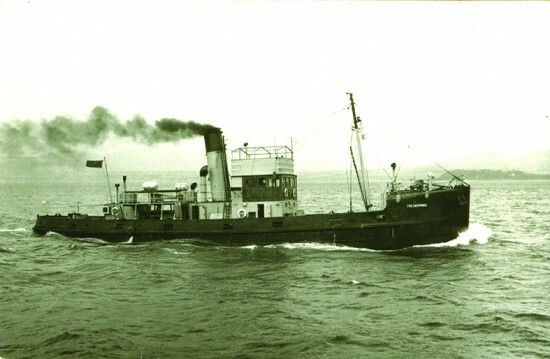 While on the subject of restoration causes, I must mention the ss Freshspring which is the last of a batch of fresh water carriers built to service Royal Navy ships anchored off shore in places such as Malta. She was built by Lytham Shipbuilding & Engineering in 1946 and served with the Royal Navy until 1979. She was sold into private ownership and spent some years at Bristol, moored near the then Industrial Museum. 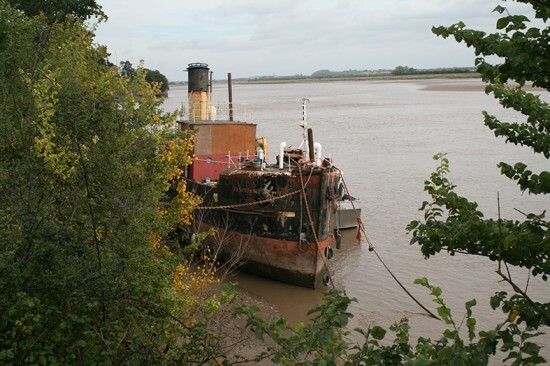 Today she languishes on the River Severn close to the Forest of Dean and is in dire need of restoration. She is a unique survivor. 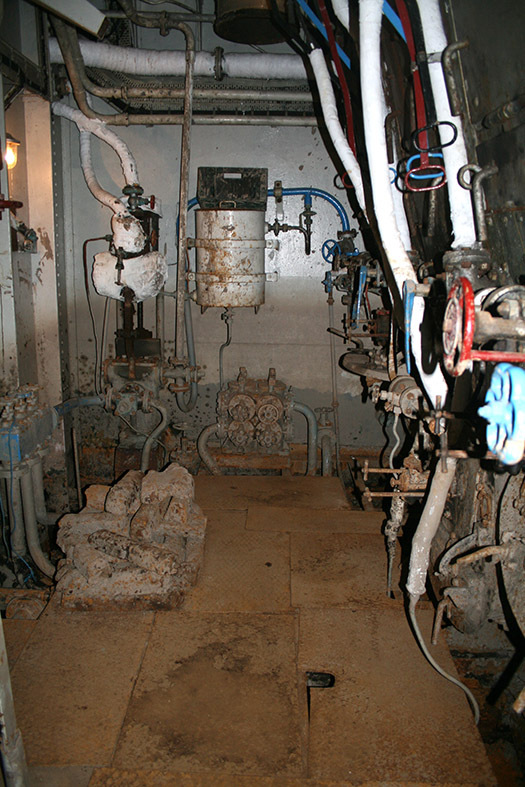 Her hull plates are thin but her machinery - including a lovely inverted triple expansion steam engine and loads of auxiliaries - are in perfect working order. 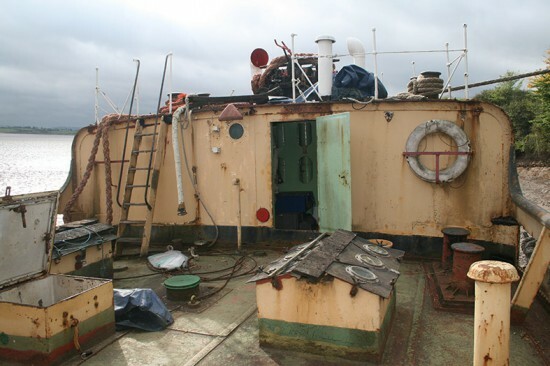 As a result of a visit I made some 18 months ago, and a subsequent article in Old Glory magazine, a charitable trust has been formed to restore the ship. There are ambitious plans and lots of useful contacts have been made, but you can help by joining the ss Freshspring Society - see: www.ssfreshspring.co.uk for more, or contact me and I can email you a leaflet. 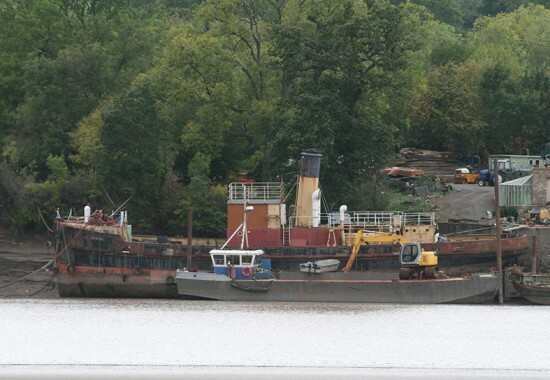 Help us save this lovely ship. She's worked hard to support Britain; now Britain needs to support her in return.